Suzanne Young’s family has been caring for people in Lincoln County for more than a century. It began with Dr. Charles Clinton McKinney, who arrived in Lincoln County with his brother Dr. John Vardaman McKinney in 1811, and still lives on today through Suzanne and her children. Dr. Charles served as a surgeon in the War of 1812 with Andrew Jackson in his stand against Native Americans in Louisiana. He was stationed in Talladega, Ala. for 60 days, and during his service he notably removed a Creek Indian’s arrow from Sam Houston’s leg in 1814. After the war, Dr. Charles returned to Fayetteville and built a home on South Elk Avenue beside his brother. Both homes still stand today. While the family’s history and influence in Lincoln County is extensive, a large piece of the legacy the McKinney family leaves behind is found in the life of Dr. William McKinney Young, Sr., a direct descendant of Dr. Charles C. McKinney. Born in 1935, Dr. Bill was a Lincoln County native – the son of Dr. Richard Wilson Young, Sr. and Mildred Goodrich McKinney Young. After earning his medical degree from the University of Tennessee in Memphis, further training in pediatrics, and two years in the U.S. Navy, Dr. Bill and his new bride, Suzanne, moved to Fayetteville in 1966. He served the community until his retirement in 2004. Dr. Bill Young became the first pediatrician in Lincoln County, as the hospital did not yet have a pediatric or obstetric wing. His office was located just off the town square in Patrick Clinic with Dr. Lex Patrick, a surgeon and Dr. Doyne Toone, an internist. Dr. Bill said he had the “best job in the world” and he loved the patients he served for nearly four decades. Dr. Bill was so dedicated to the people in Lincoln County that before the area had a 24-hour emergency room coverage, he and two fellow doctors, a family practice physician, Dr. Tom Norman, and a general surgeon, Dr. Mallappa Gowda, decided to band together and take turns covering the ER shifts at night until the hospital had a full-time service. None of the doctors had been specifically trained in internal or emergency medicine. Without Dr. Bill stepping in, patients would have had to drive 30 or 40 miles to visit an emergency room after hours. Dr. Bill’s commitment to compassionate care for every patient had profound influence on the community. He passed away in 2014, but his memory lives on in the lives of the people of Lincoln County. The McKinney family’s medical legacy in Lincoln County spans multiple generations, adding up to 17 physicians or dentists in the family tree since 1811. Upon his retirement from his orthopedic practice in Clarksville, Tenn., Dr. Bill’s brother, Dr. Richard Wilson Young, Sr., returned to Fayetteville and became the first medical consultant of LHS’s Patrick Rehab-Wellness Center. His uncle, Eddie Jarvis, was the first pharmacist at the hospital and another uncle, James D. McKinney ran McKinney Brothers Drug Store on the Fayetteville Square. Their influence continues even today, as we celebrate the 100th Anniversary of Lincoln Health System. Suzanne is a medical technologist herself, who worked in the laboratory at LHS for many years. Two of Dr. Bill and Suzanne’s three children chose career’s in the medical field. Laura Clark works at LSH as a physical therapist at Patrick Rehab-Wellness Center. Dr. William McKinney Young, Jr. is a urologist who practices in Chattanooga. The late Robert R. Young did not choose a medical career, but instead was a software engineer in Huntsville, Alabama. 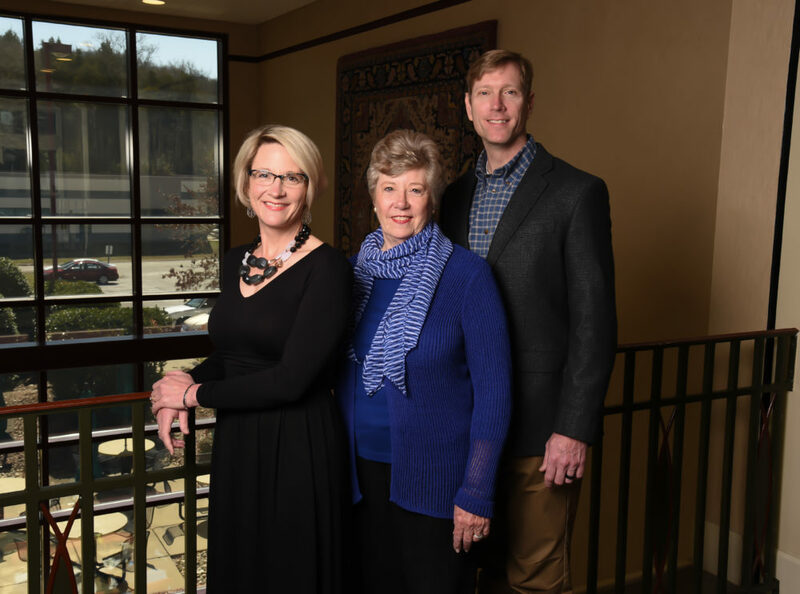 Lincoln County holds a special place in the hearts of the McKinney-Young family, and Suzanne says the community would not be the same without its health system.